Start by creaming the butter and sugars together. Meanwhile, whisk together the dry ingredients: flour, baking powder, salt, cinnamon, and nutmeg. Set the bowl aside. 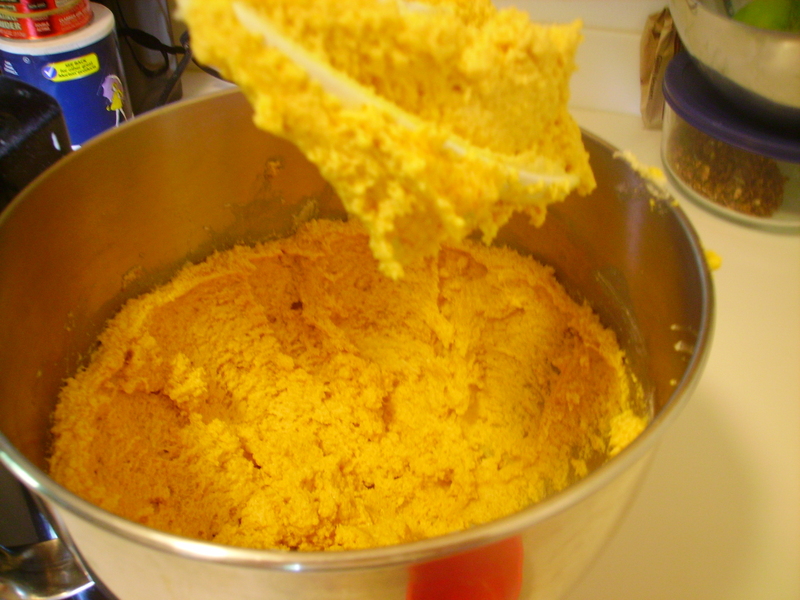 Once the butter-sugar mixture is nice and creamy, add in the pumpkin, followed by the egg and vanilla. Slowly stir in the dry ingredients. Make sure you scrape the sides of the bowl so none of the stiffer butter mixture escapes your notice. The dough will be quite soft, so refrigerate it for at least 1 hour. When you are ready to bake, mix together the spices for the outer coating in a small bowl. You may need to make a second batch of the spice mixture in order to coat all the cookies, but I like to make only a small amount at a time, that way I am sure that the mixture stays about the same the whole way through, rather than skewing more heavily toward the denser spices for the last batch of cookies. Remove the dough from the fridge and scoop out small balls. Because the dough is still rather sticky, I liked to dump the dough balls directly into the spices and roll them around to coat them before I ever touch them with my hands. 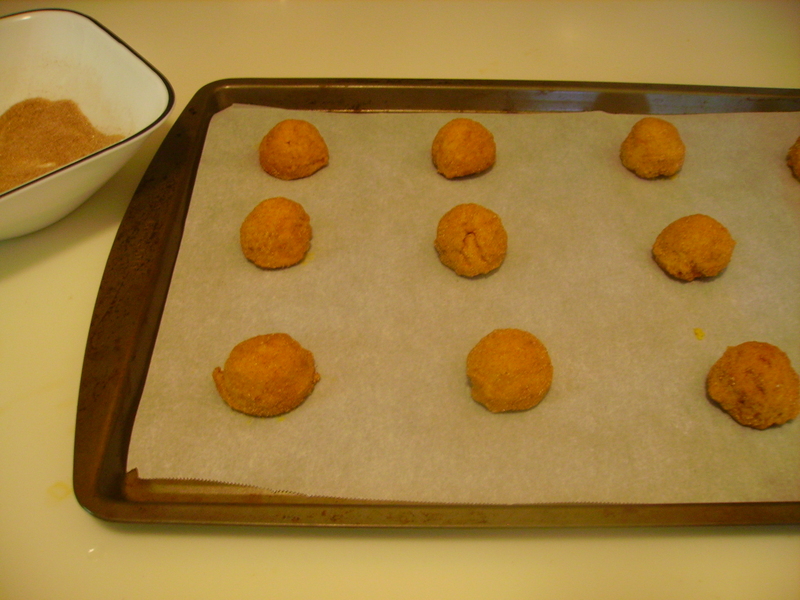 Place the sugar-spice coated cookie dough balls onto a parchment paper–lined cookie sheet. They won’t spread too much during baking, so about 1½″ apart is fine. Bake for 10 minutes at 350°. Let them cool for a few minutes on the paper before removing to a cooling rack. 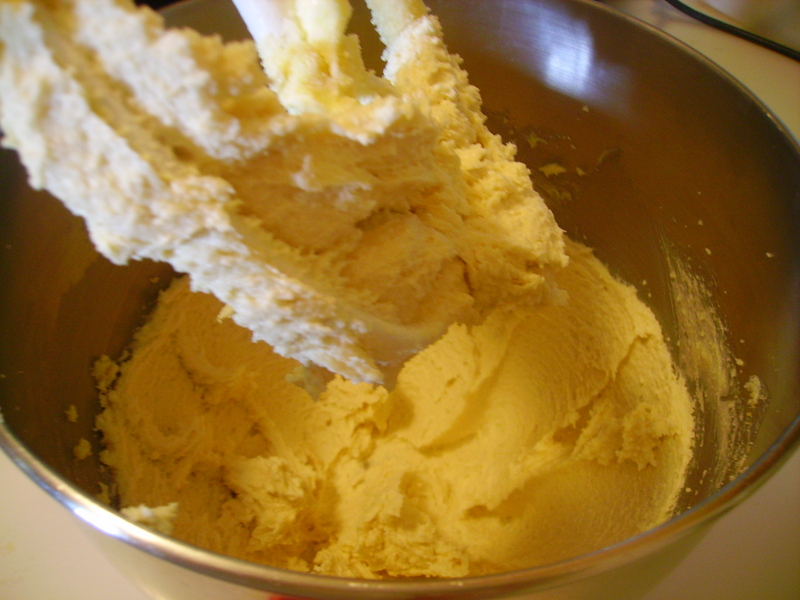 In the bowl of an electric mixer, beat together the butter and sugars on medium-high speed until light and fluffy, 2–3 minutes. 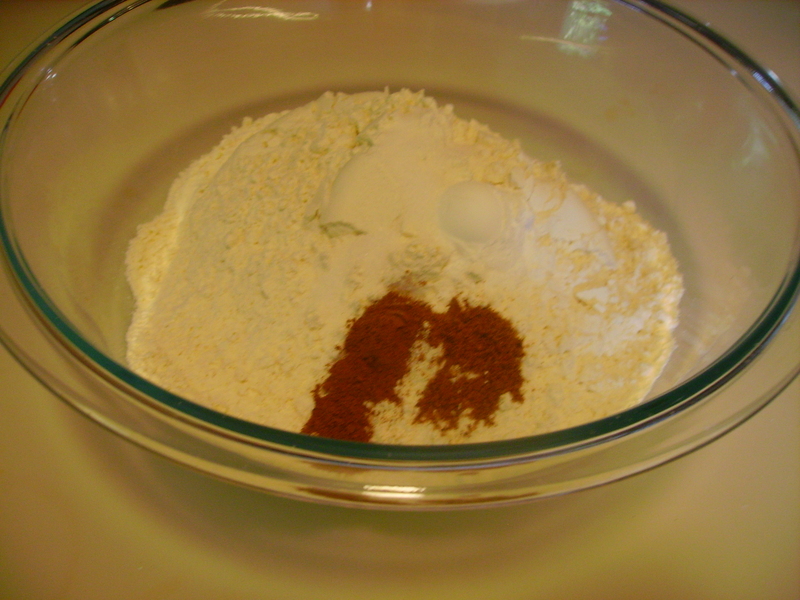 Meanwhile, whisk together the flour, baking powder, salt, cinnamon, and nutmeg in a medium bowl. Set aside. 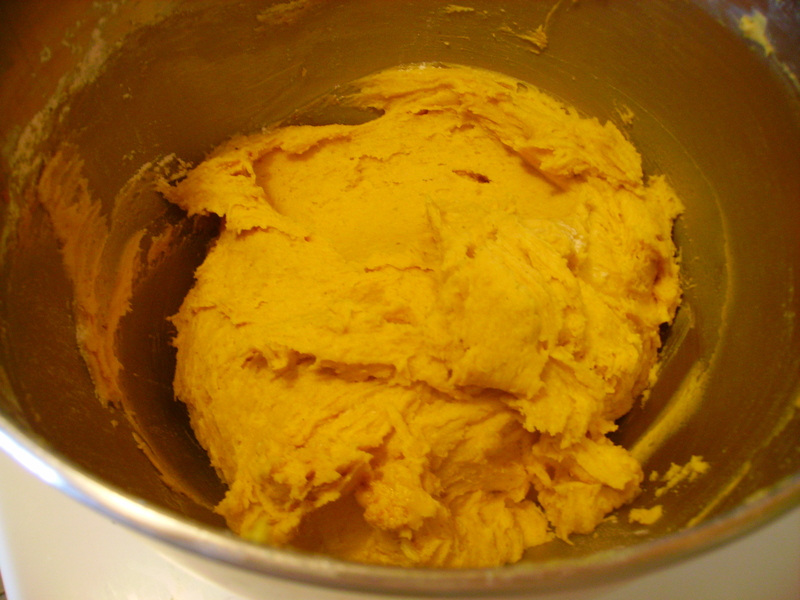 Blend the pumpkin puree into the butter mixture. Beat in the egg and vanilla until incorporated. With the mixer on low speed, add in the dry ingredients and mix just until incorporated. 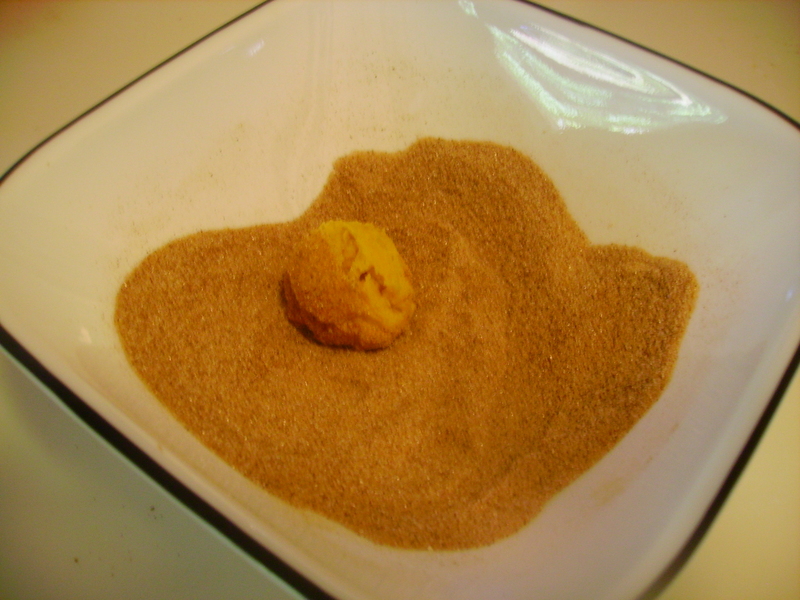 Combine the sugar and spices for the coating in a bowl and mix to blend. Scoop the dough into about 1″ balls and drop into the spice mixture. Coat the dough ball in the sugar-spice mixture and place on the prepared baking sheet. Repeat with the remaining dough to fill the sheets, spacing the dough balls about 2″ apart. Bake the cookies for 10–12 minutes, or until just set and baked through. Let cool on the baking sheets about 5 minutes, then transfer to a wire rack to cool completely. When you get back from your adventures in Europe, I will make you some! 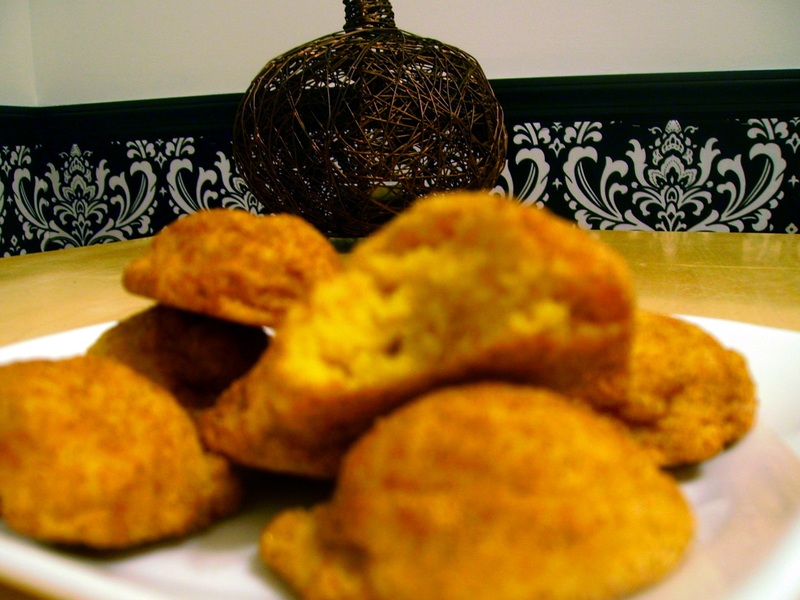 I love any baked good involving pumpkin – yum!